First evening of Sukkot, Sunday, September 23, 2018 - SUBS IN THE SUKKAH. Holiday Candle lighting time: 6:33 pm. Monday morning Oct. 24 - Shake the Lulav and Etrog in the sukka at your convenience. 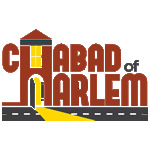 Shachris at Chabad - 10:00 am. Kiddush in the Sukkah after service: 12:30pm. Kiddush Sponsored by Jay Dean and Jeannette Wasserstein. Children's Sukkot party - COME DO THE LULAV SHAKE -4-5 pm. Sukkah open for Lulav and Etrog blessing all morning. Shmini Atzeret Kiddush in the Sukkah (Rsvp here) - 7:15 pm. Kiddush is sponsored by Franklin Gilbert. Light Holiday Candles after 7:18 pm. Kiddush and Hakafot (circling and singing) with the Torah - 11:00 am. Finishing/starting the Torah cycle: 11:45 am. All boys (even under Bar Mitzvah) and men receive an aliyah today.